Show me your growth and I will show you the growth of your business. In the modern day “hustle” romanticized in building a business. It is burning most leaders out and causing their performance to dissipate. Along with their businesses. We veer off the path a bit on this show and talk about how creating space and clarity in our lives will allow us to better communicate and thrive. Amanda is an International Life Coach, Transformation Mentor, and Holder of Sacred Space. She helps people release their limiting beliefs, reclaim their personal power, live authentically, and develop more intimate relationships. Amanda has been studying and practicing the art of personal growth and development for the past 22 years. In 2014, she became a Certified Holistic Lifestyle Coach with the CHEK Institute. 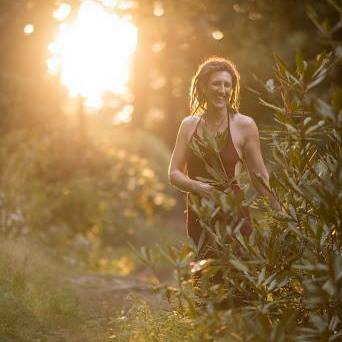 At the heart of her work, Amanda has a desire to connect people to the core of who they are through a multi-dimensional approach to healing, rooted in traditional wisdom and modern arts. Live Q&A discussions with industry experts so you can learn the necessary strategies to excel in today’s market. A community of dedicated business owners that want to help each other succeed. CLICK HERE and join this group of professionals looking to create massive impact.